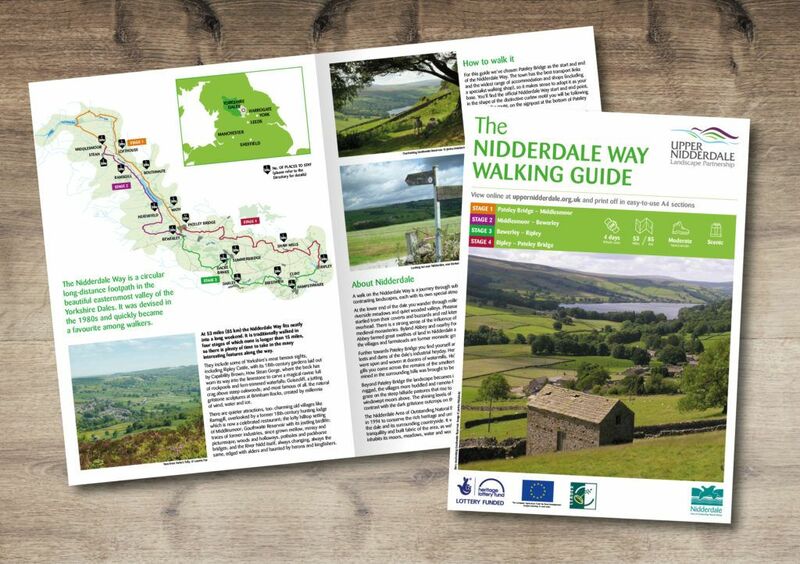 Bivouac was contracted by Upper Nidderdale Landscape Partnership to design a suite of downloadable walking guides. 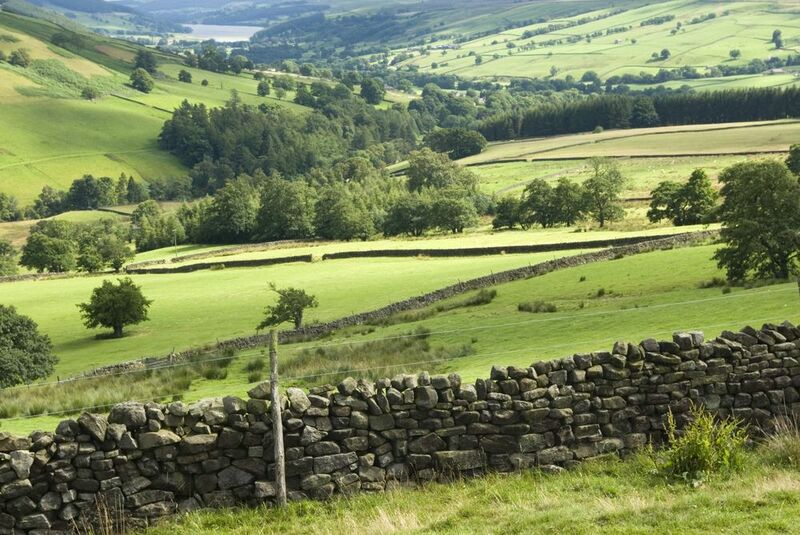 The first guide for the 53-mile Nidderdale Way has just been completed. The guide includes an introduction to the area and the walk, and four stages of the circular walk. Each stage takes the form of a map, walk instructions and points of interest. Bivouac designed a base map that could be adapted for each of the stages and created a 12-page brochure that could be downloaded in full or in part, depending on how you are wanting to undertake the walk. 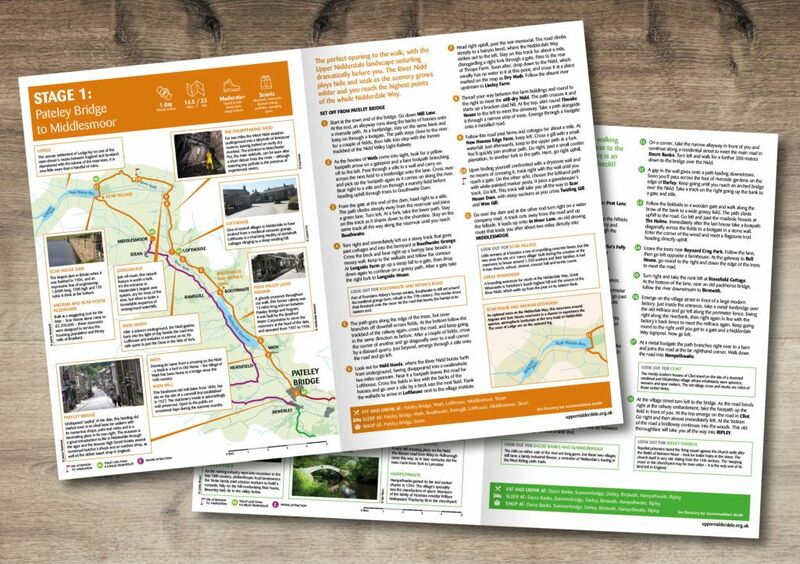 The guide also includes a Directory of places to stay on the route, showcasing the region’s many tourist destinations and facilities. The design was an exercise in simplification of data into an attractive, usable and practical guide that can be displayed in TICs or downloaded at home. 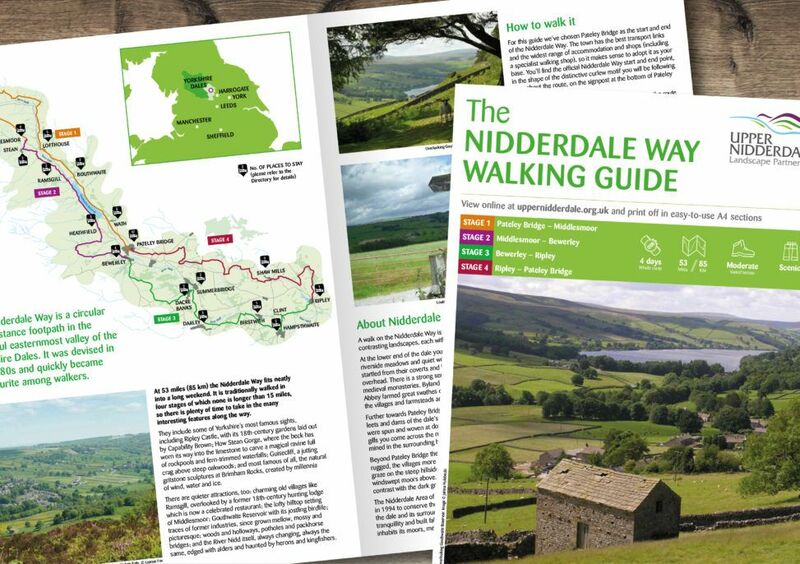 Bivouac is currently designing a series of smaller Short Walk guides to complete the Nidderdale set.